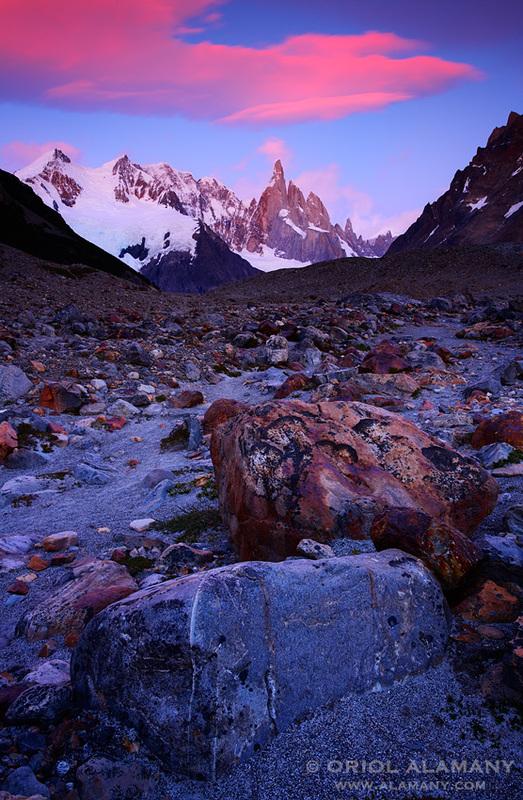 After a hike with all the camping and photographic equipment in our back we set up the tent near Laguna Torre. Dark clouds covered the altive peak all the afternoon, but at dawn almost all were gone. We rush to the lagoon but on the way I found these rocks and I stop and took a picture before the sun rise over the horizon. Awesome country... and nice picture !